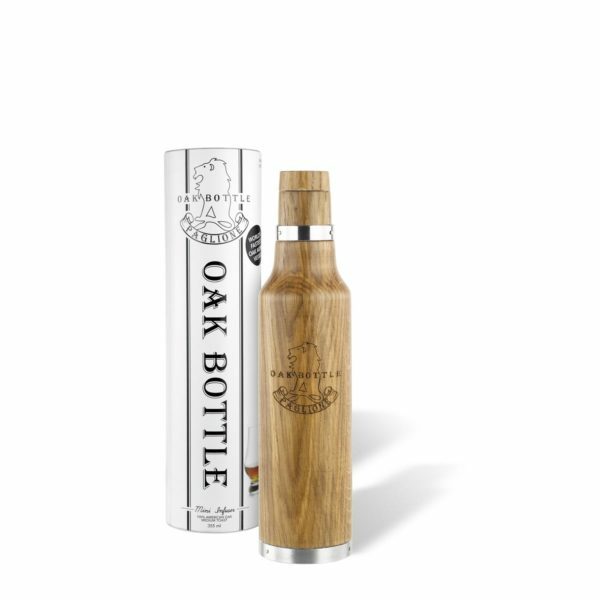 This is our Mini Oak Bottle. At 355 ml, this bottle is the same size as a standard beer bottle, which makes it great at barrel aging beer. Its size is also very useful for being able to do a side-by-side before and after taste test against half a bottle of alcohol after it has been aged.